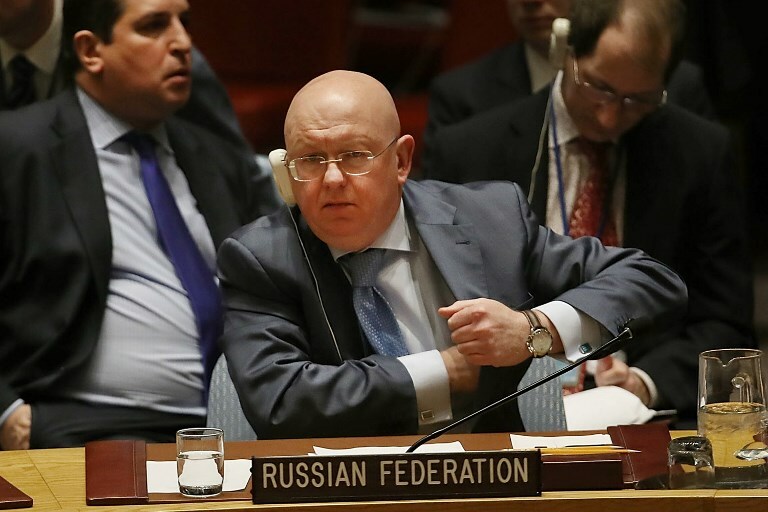 UNITED NATIONS (AP) — Russia’s UN ambassador says relations between Moscow and Washington are “practically non-existent,” which he says is bad not only for both countries but for the world — and he sees little prospect for improvement anytime soon. Russia and China have backed an easing of sanctions to spur momentum, but the US insists that North Korea must first make major steps toward eliminating its nuclear program. Looking more broadly at the US position in the world under President Trump, whose overarching policy is “America First,” Nebenzia said he doesn’t see the United States retreating. Nebenzia echoed Russian President Vladimir Putin’s view that Trump’s decision to pull US troops out of Syria was a good move, though he expressed some skepticism about whether the announcement will become a reality. He said in the interview at Russia’s UN Mission late Friday that a pullout “will be helpful and conducive to the eventual Syrian settlement” of the seven-year conflict. This entry was posted on December 25, 2018 at 4:51 PM and is filed under Uncategorized. You can subscribe via RSS 2.0 feed to this post's comments. You can skip to the end and leave a response. Pinging is currently not allowed.